Okay I know I have an obsession when it comes to Benefit, my whole love affair with makeup began with Benefit so of course they will always have a soft spot for me. I was playing around on polyvore the other night and came up with my top 6 Benefit Products so lightbulb went off and thought this needs to be a blogpost! Narrowing this down to 6 was difficult but I got there in the end. 1. 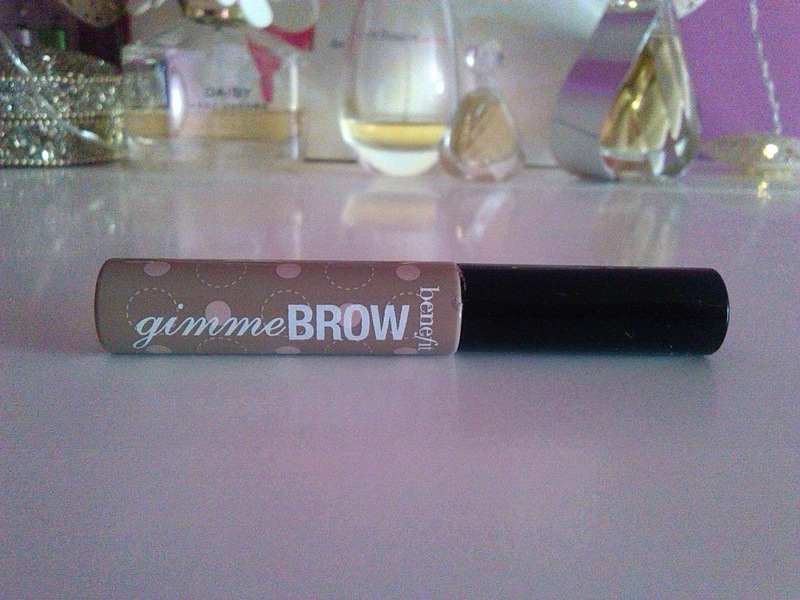 Gimme Brow, is my favourite ever brow product, that even got it's own review not long ago on the blog. It's quick, precise and stays put all day. 2. Fine One One, perfect trio of cream colours for your cheeks. This is perfect for us pale skin girls. The review I did of this was one of my very first ones (awwwww). This is one of those quick to apply throw in your handbag and off you go products. 3. Hoola took me awhile to fall in love with, but once I got used to it, I loved it! It's a matte yellow/brown and is so easy to apply, even for me as I'm useless with bronzers. Nivea are back again and this time with their brand new In-shower Body Moisturiser Firming rrp €7.49. We all know that I'm a sucker for anything that makes my morning's go a bit quicker and this definitely is a product that falls right into that category. This is the most recent addition to the Q10 range, and I'm really enjoying it. My skin feels super smooth and moisturised when I get out of the shower, that there really is no need to use anything else after. This does make the shower tray a little slippy so watch out for that! The little yellow Q10 beads dissolve instantly on your skin and the water works it's magic to lather it up also this is how the formula is activated. My skin doesn't feel like it has a residue left on it, and the dead skin cells are removed to leave me with silky smooth skin. So if you don't have enough time to moisturise separately after a shower then this is the product that might just help keep your skin in tip top condition. You may have noticed over the last few weeks that I have been posting photos of these polishes and the nail art that I've been trying to do. 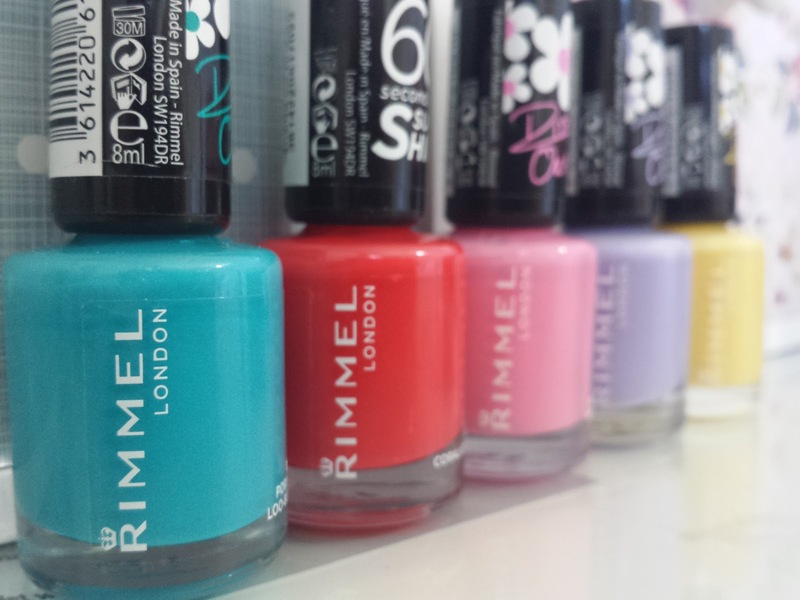 I really do love these polishes and the colours that have been added to the line up are bang on for spring/summer. The polishes are for the most part quick drying, with a great shine. They are also great for lasting against the normal wear and tear that I can get with most polishes. The Rimmel London 60 seconds super shine are really affordable at €4.49 (Boots). Go Wild-er-ness is a gorgeous lilac which can look patchy with just one coat, but with two coats you are on to a winner. Daisy Days is a beautiful sunshine yellow. It has a different consistency to the others and went on gloopy. This also needed 2 coats and out of all the colours this took the longest to dry. 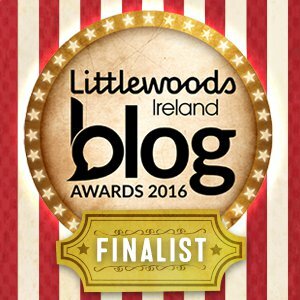 Big thank you to Eimear of "The Two Darlings" who tagged me for this. 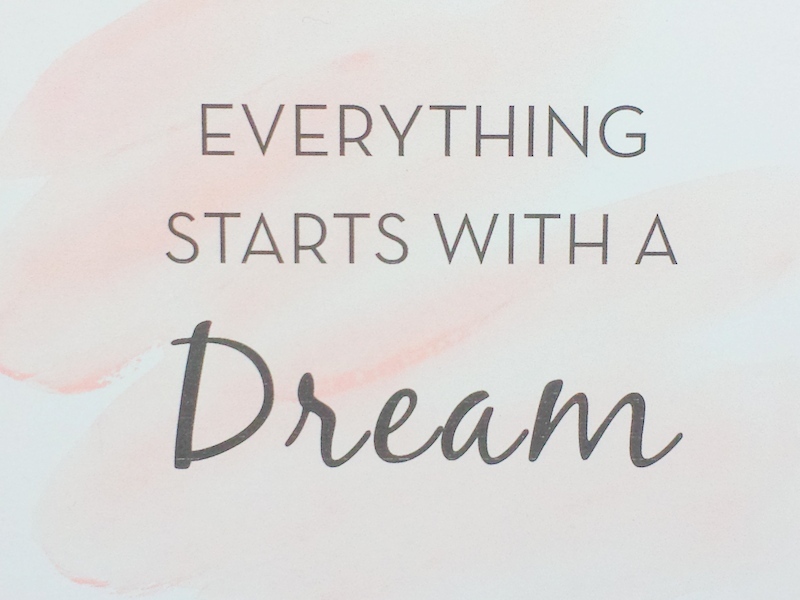 It's that time of the month again and My Little Box made it's way to me full of dreams and fluffy clouds! I really love the illustrations on the box, they are super cute and chic. April's box was full of amazing goodies for me to delve into. I really was so excited when this came in and I wasn't disappointed in my second My Little Box. It was hard to know what to look at first when I opened the box (may I add that I opened up in the car because I couldn't wait to get home to open it). I was greeted with a quote from Walt Disney, never a truer word was said, so I have it stuck up on my wall where I can see it everyday now. In the lovely canvas bag I got a foaming cleanser, a hair mask from My Little Beauty (their own range) and a lip and cheek tint by Lou Lesage. The balm is gorgeous and the tint gives the look of those just bitten lips. 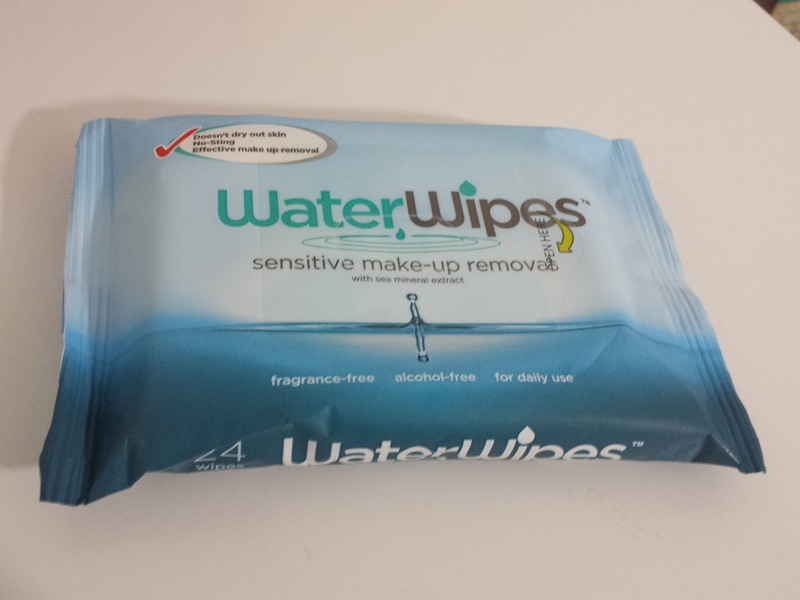 I've been asked on numerous occasions to recommend wipes and if you are a long time reader you know that I don't use them and I never recommend them. Until now. What makes these different? They contain only 3 ingredients and doesn't rip my skin to shreds, to put it bluntly. You may be wondering what even make me want to try these out. They were sent to me to try out and I had injured my back so I couldn't keep up my usual skincare routine, but I needed something to make my skin feel somewhat clean and refreshed. I had also tried another brand that I got in a Christmas set while I was laid up, but they ended up in the bin, so these obviously impressed me a lot. Dead Sea Minerals for deep skin moisturiser. Such a small tube with a small wand but with mega impact to give you beautiful brows. Who doesn't love a good brow, and now with so many products on the market it's hard to choose what to get. From powders to pencils, and gels to palettes for our eyebrows the whole process can become overwhelming. I used to use a powder or pencil but only if I had time to make the effort but for the last year I've gone through 3 (yes, you heard me 3!) of Benefit's Gimme Brow. This is the quickest and handiest way for me to clean up my brows and fill in any gaps. No faffing about with separate eyebrow brushes, sharpeners or worrying about how precise I am, this little tiny wonder is my go to all time favourite eyebrow product. 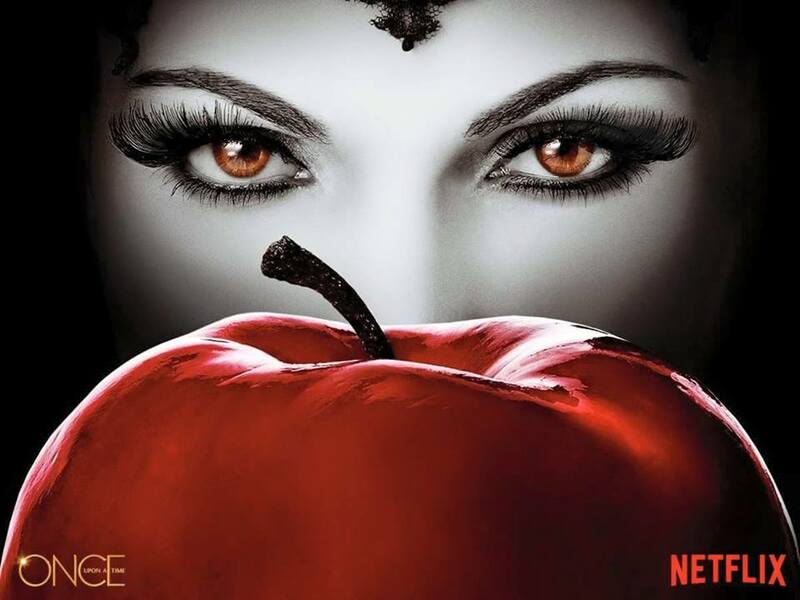 My New Favourite TV Show: "Once Upon A Time" on Netflix. For a long time I have been wanting to watch Once Upon A Time since it's first release, and recently it just came to Netflix! So for the last 2-3 weeks every night I watched 2-3 episodes or sometimes more. Yes, I have become obsessed with this programme. 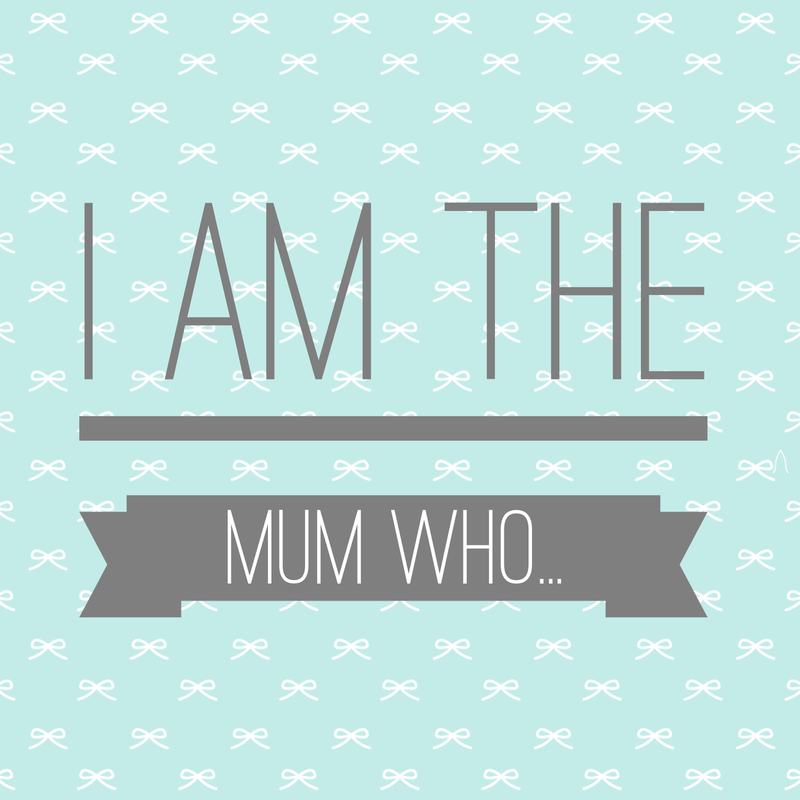 Gone are the days of sitting down with the hubby trying to find quality time in front of the telly. It's all about me now and unwinding with something that I'm enjoying. Yes I'm selfish and I don't mind taking over the telly, but it's been so long since a programme has interested me so much. Plus, hubby is very understanding and he's made me sit through some things I wasn't into over the years, so now we're even! 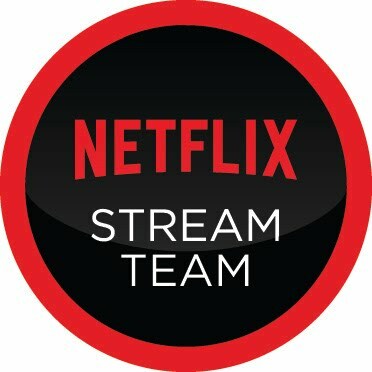 Netflix has seasons 1-3 currently streaming and season 4 is currently being run with each new episode coming to us shortly after is aired in the United States. I'm currently up to date on all the episodes and itching for the next. 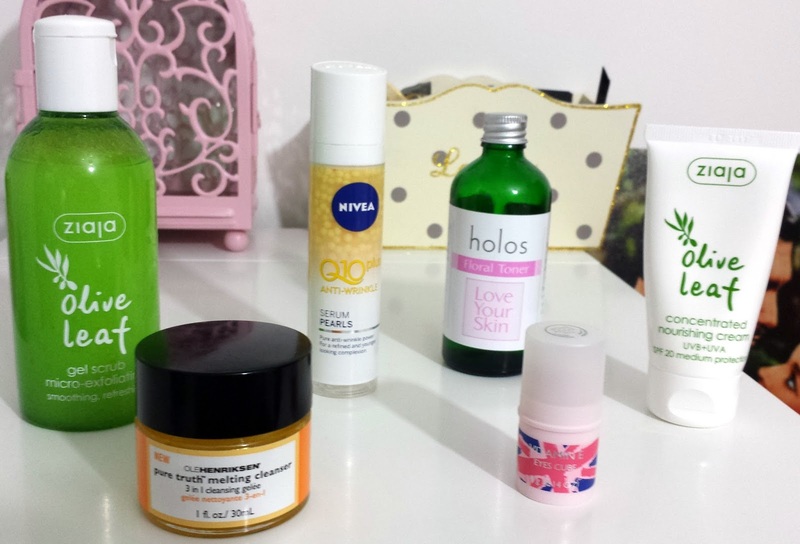 I hit a bit of wall back in November with my skin and found that my usual products were just not giving me what I needed. So finally after months of trying out new products I've finally hit the jackpot. My skin is looking fresher, less dry patches and some scars from bad breakouts I was having to medication have started to diminish. I start my morning off by cleansing with the Ole Henriksen Pure Truth Melting Cleanser (€28), I absolutely love how this makes my fact soft and I feel like my face gets a great massage as I really take my time working the oil into my skin. If my skin needs to be exfoliated in the morning I will use the Ziaja Olive Leaf Gel Scrub (€5.99) which is really refreshing and gentle on my sensitive skin, and this can be used not just for your face but your body too. The sun was out, the birds were singing and we hit the road for Easter Weekend to visit family. It has been awhile since we had done anything fun and out of norm so it was a welcome change for us. We started off our weekend with a visit to my parents where Lillibug decided to dress in her "Sunday Best". She felt like such a princess in her new dress and danced the afternoon away for Grandma and Granddaddy. 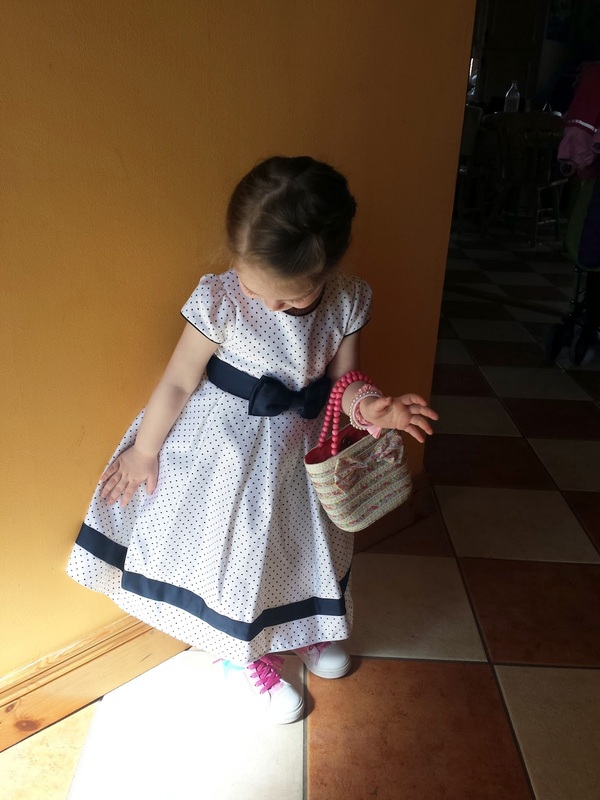 Lillibug was delighted with her Easter Basket this year. This is something I do every year for her so I think this will be a tradition for years to come. I filled her basket with hair clips, a Barbie DVD, bonnet, bag, Rabbit Ears, and chocolate eggs. 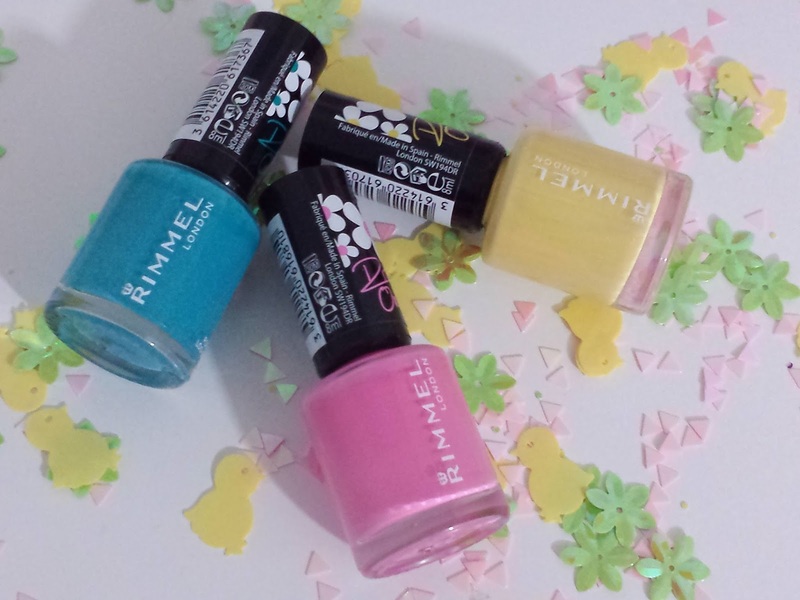 I spotted some fabulous new spring shades from Rimmel London and knew straight away that these would have to be incorporated into some Easter themed nails! First off I love the colours, I love the finish, and I was super surprised with the lasting power of these polishes without a topcoat. The shades went on beautifully especially the lovely shade that is "Port-A-Loo-Blue" which only needed one coat . You will need a base coat with "Port-A-Loo-Blue" as this stained my nails really badly, but my trusty Emoji Micro Nail fixed that up in a jiffy. I used some new dotting tools that I got in Dealz for only €1.49. This is really my first time to experiment with designs and I was really chuffed with how they turned out. Hopefully with time I will get better! "Port-A-Loo-Blue" is a wonderful blue colour and I can't think of a similar blue in my collection so I'm thrilled with this one, and it's also great for transitioning into Springtime.